While labels are always problematic in some sense, for the sake of this analysis perspectives on history are designated as broadly pre-Modern, Modern, or Postmodern. Admittedly, this schema privileges somewhat the Modern narrative of superiority over the pre-Modern and employs conceptions of Modernity as the fulcrum point for our engagement with the rise of historical consciousness. However, the application of these labels is meant neither to reify these categories nor to affirm the Modernist narrative. Instead, these terms are employed as terminological tools intended to assist in highlighting the different emphases of the broad movements of historians throughout time. During the pre-Modern period, historiography was oriented by “ages,” in all likelihood originating with the vision recorded in Daniel 7. Eusebius of Caesarea and Augustine of Hippo were especially influential on early Christian conceptions of history. Through the compilation and syncretic reading of sources, Eusebius sought to abnegate any historical difficulties of Christian truth claims, as he consistently emphasized the timelessness and continuity of the Church between Christ and Constantine. In so doing, he effectively launched a “successionist” narrative of Church history, arguing that the authority of Christ and the Apostles was final and that any deviation from that rule of faith constituted heretical error. 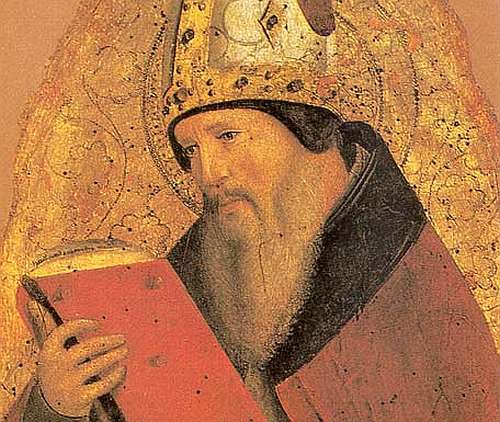 Augustine clarified an “ages” approach to history, and his follower Paulus Orosius solidified that model’s verbal and mystical structure, which identified connections between the Church and Rome while simultaneously denying essential changes in historical truth. As a consequence of this view, Christians increasingly identified the changeless truth of God with the changelessness of the Church, casting the truth of the Church’s teachings as immutable and unchanging. In this study, when these terms are applied to broad movements of thought they are capitalized, not to affirm their sui generis nature or monolithicity, but to add clarity to the development of historical consciousness and overarching worldviews perspectives at work in the study of history. Justo Gonzalez, Changing Shape of Church History (Saint Louis: Chalice Press, 2002), 57-8. Anthony Kemp, The Estrangement of the Past: A Study of the Origins of Modern Historical Consciousness (Oxford: Oxford University Press, 1991), 6-33. See Gonzalez, 112-4 for further possible implications of this perspective.